Chronic pain may mean different things to different people. As a chronic pain specialist and family nurse practitioner, I tell my patients that chronic pain is defined as pain lasting longer than three months on average. It has to do with the time period during which you experience symptoms, but also whether it has an expected end—most chronic pain does not have an expected end. For example, if you’re healing slowly for months after a surgery, that pain wouldn’t necessarily be considered chronic. Some OTC medicines can provide safe and effective relief for mild to moderate pain, but they aren’t meant to treat the chronic pain conditions on a consistent, long-term basis—though they may play a part in a more comprehensive treatment plan for chronic pain. I often recommend that my chronic pain patients try a combination treatment. Combination treatments involve safely combining prescription pain medications, when appropriate, with OTC analgesics like acetaminophen, ibuprofen, aspirin, or naproxen sodium. For example, some chronic pain conditions include inflammation, so I may prescribe an opioid pain reliever or another pain medication and an OTC or prescribed anti-inflammatory. This approach requires that I know and carefully consider the whole patient and urge them to take everything exactly as prescribed, because there are some patients who can’t take anti-inflammatory medicines due to kidney disorders, cardiac disease, or gastric disorders, or can’t take acetaminophen due to liver dysfunction. Everyone’s a little bit different! When it comes to prescriptions and OTCs, everyone should always read and follow the label every time, and, it bears repeating: before taking any medications, talk with your healthcare provider about what’s right for you. You can learn more about OTC pain relievers here. Diversion of medications is when legally prescribed medicines end up in the hands of someone that the medication has not been prescribed for, to be used for nonmedicinal purposes. Unfortunately, this is a common problem with medicines prescribed for chronic pain like opioids, but there are two easy ways you can help prevent it: safe disposal and safe storage. Safe storage. 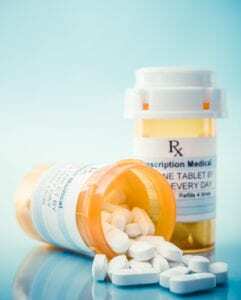 Always keep medications you’re still using stored away where someone who’s looking for medications can’t find them. The best place is in a medicine lockbox, which can be purchased at your local pharmacy. You never know—unfamiliar people and regular guests who come to your house may be looking for medicines.